This week has been special at our school. There have been lots of activities to raise awareness on gender equality among all of you. The English Department wanted to make its contribution, so different activities were carried out in all levels. 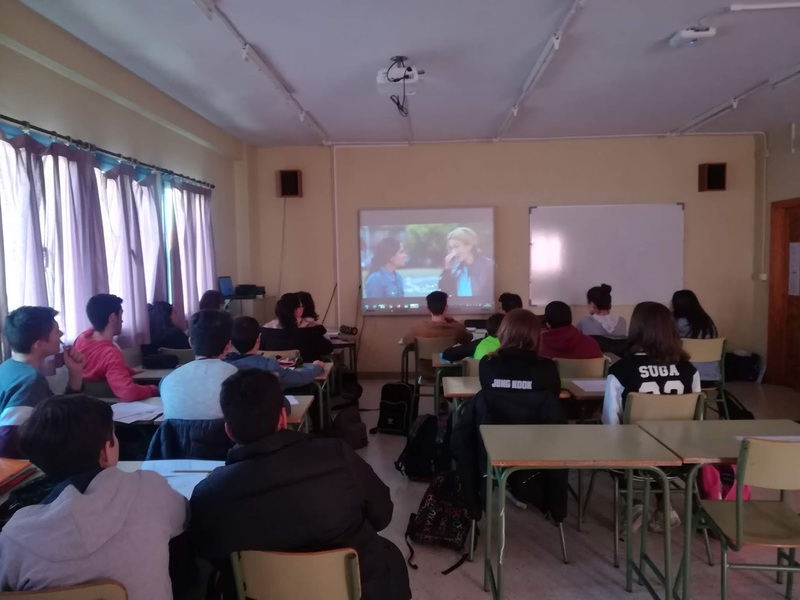 Students in 1st ESO watched the film animated film BRAVE, which tells the story of a girl who has to fight many dangers because she doesn't want to accept what is expected from her as a princess. Students in 2nd and 3rd ESO watched the film Bend it like Beckham. This film deals with the subjects of football, race, gender and tradition and tells the story of two young girls who want to be professional football players, but have to face some setbacks, especially Jess, who belongs to a very traditional Indian family. The students liked the film and understood clearly the difficulties that being a woman , especially an Indian one, conveys in the "masculine" world of football. To clarify students' ideas we used some activities which they had to do while watching the film. Students in 4th ESO worked with the song TWO FACES. In this song, which forms part of the álbum Tunnel of Love (1987), Bruce Springsteen, also known as The Boss, tells about the contrasting feelings a person can have. In his case, it was depression what made him feel that way. However, this song could also describe the two faces of a person who commits gender violence. Students have shown their ideas on this painful issue on blank faces and then we hung them in the multipurpose room. They came up with some very interesting ideas!! Students in 1st Bachiller watched a video and read an article about how men and women may be judged differently in the workplace, with women often getting the most negative labels. A question arose immediately: Are we more judgemental with women than with men? Is that true? The video, which became viral, is an advert for a beauty product and that led us to another question: Is the message appropriate for the product?... Watch the video and judge for yourself! Students in 2nd BACH watched and worked with a short film in which Daniel Craig and Judy Dench, well known for being James Bond and his boss, point out all the many inequalities that women still suffer. Her final question is: "ARE WE EQUALS?" and that is the question students answered and then pinned to the noticeboard in the classroom. As you can see a week full of reflection on gender equality. Any step taken will help in the long way ahead towards a world in which there will be no more need to talk about all this. It's you and the next generations who have to make it possible.